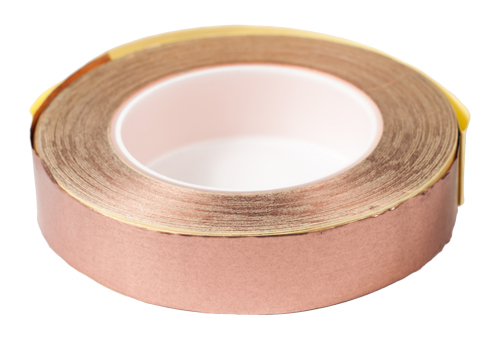 Copper Conductive Tapes, also known as EMI Shielding Tapes, are ideal for building ground systems. They are made from copper foil with an acrylic conductive adhesive. These conductive tapes are supplied on a paper liner for easy handling and cutting. The Copper Conductive tapes provide a very low rate of electrical resistance. The film is 1.5 mil thick with 1.25 mil of adhesive. Temperature rating is 155ºF.